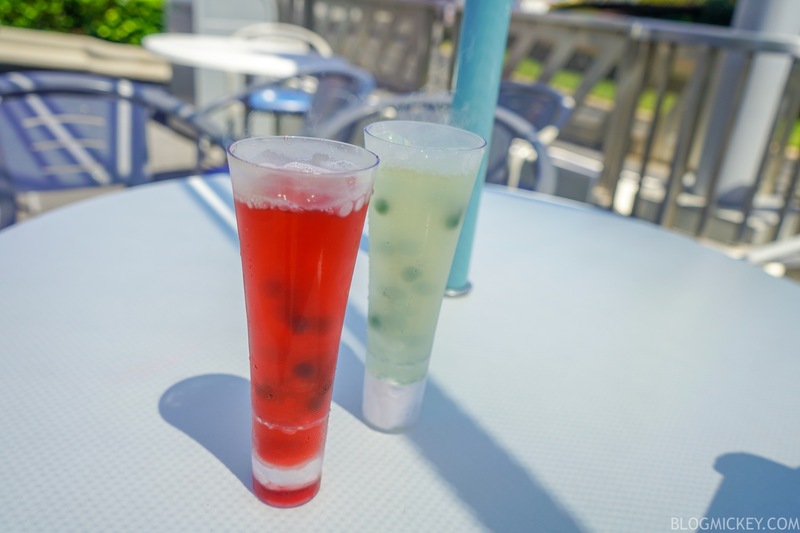 There are two new drinks at Cool Ship in Tomorrowland. The drinks come to us courtesy of Violet and Dash, and have an incredible fizz to them. 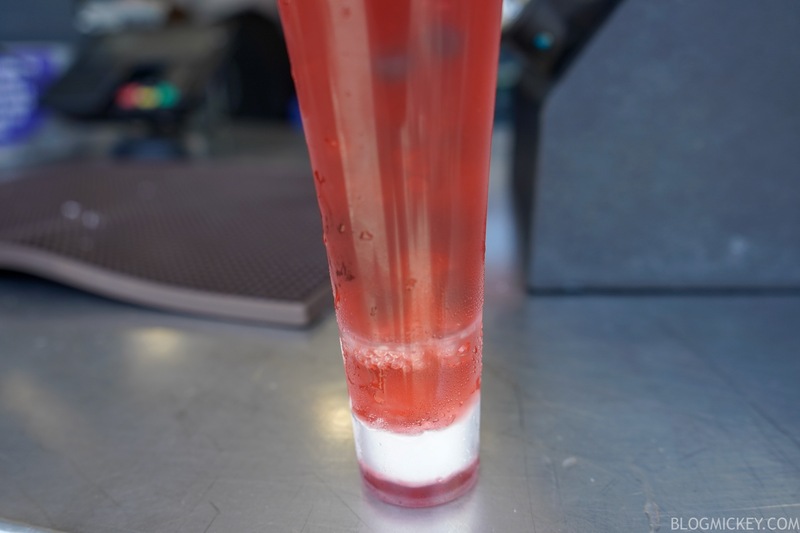 Dry ice at the bottom of the cup gives the drink a fun fizz. The dry ice is separated by a plastic ring on the bottom that doesn’t interfere with the drink itself. 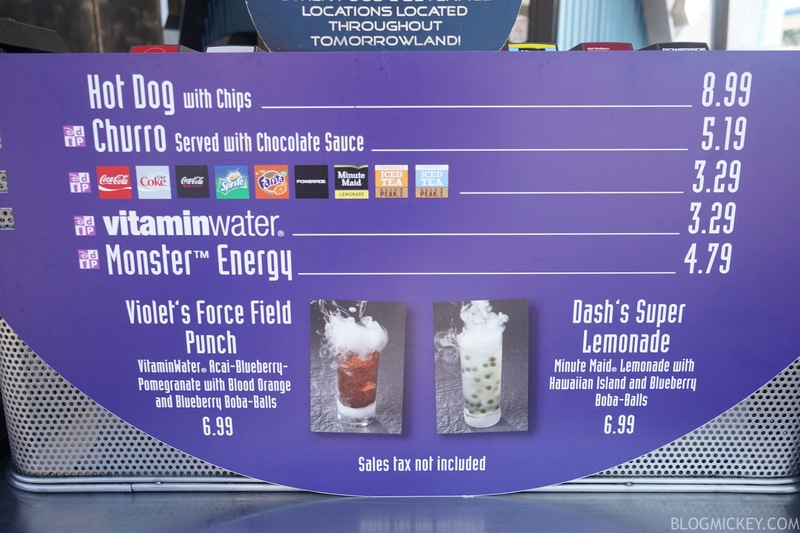 As far as taste is concerned, Violet’s Force Field Punch favors the pomegranate flavor from the VitaminWater Acai-Blueberry-Pomegranate. It’s essentially a fruit punch. For Dash’s Super Lemonade, you’ll find a traditional lemonade flavor, enhanced by the few bites of blueberry boba balls. 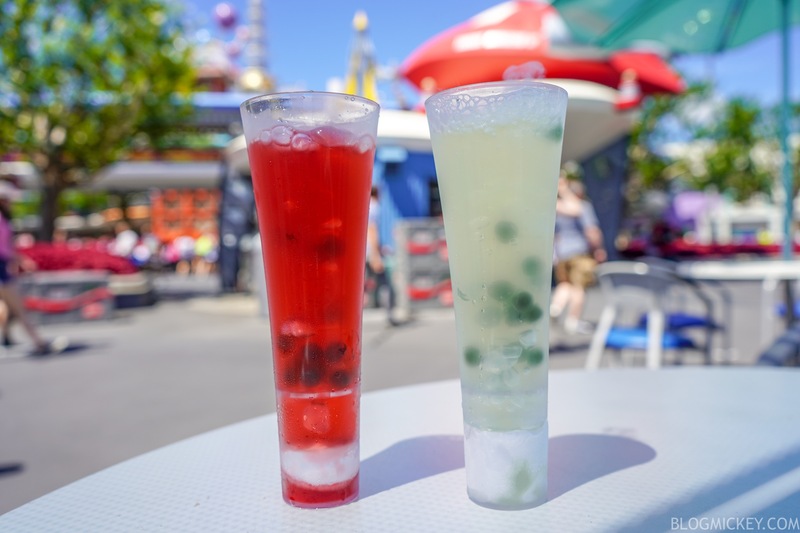 Both drinks feature “popping” blueberry boba balls. Overall, the drinks are more fun than anything else. They are quite refreshing and offer a cool reprise from the Summer heat. At $6.99 each, they aren’t anything special on the flavor scale, but they’re good for a tweet and a fun sensation when drinking.